The town centre is almost at your front door! It is less than a 2 minute walk to cafes, waterfront, jetty and the calm waters of Te Kopua Beach - great for swimming, kayaking and family picnics. It is just a 5km drive to Ocean Beach or approx 8km to Whale Bay and Manu Bay - world famous surf break. Be there for the surf carnivals and the music events. This lovely old character home offers comfortable spacious living and dining - with great indoor outdoor flow for al fresco dining or playing with the kids on the back lawn. Guests to bring own bed linen ( sheets and pillow slips ) and towels. Duvets and blankets are provided. Easy drive on level access. Read the reviews. Lots of return visits. No parking or driving on grassed area. Shoes not to be worn inside house - floors recently polished. Two night minimum stay on weekends. Three night minimum stay long weekends. Bathroom is a wet room comprising shower, vanity and toilet. The house requires a very thorough and deep cleaning as it was not in an acceptable condition for renting. Once this issue (and the lack of Wi-fi) is tackled and cooking and bathroom facilities improved, the property has good potential for being an excellent place for a holiday. We would strongly NOT recommend this guest to any holiday home owner. From the moment they entered the property they complained via lengthy emails. They refused to answer any phone calls to clarify and communicate reasonably. This all kicked off when they realised there was no wi-fi - albeit this was clearly stated to them in the listing. ( wi fi had been booked in for March and is now provided). They then proceeded to go to great lengths to find fault with everything and threatened to vacate the property - unfortunately they wouldn't and stayed the full term. We were very relieved when they left. This is a well presented 100 year old homestead. It is not motel accommodation. We have tried to retain the character and charm of this home and in the 8 years we have rented it out as holiday accommodation have had wonderful feedback from wonderful guests - many of whom have made return visits. Good size accommodation in a great location. Cleanliness a disappointment. Good size property in a superb location for the town. Main surfaces had been cleaned but dusty in areas like skirting board and under tv cabinet. The place was full of unnecessary ornaments which were also not clean and definitely not child friendly. The accommodation did not meet my expectations for the price paid. Perfect for the family and so close to everything. 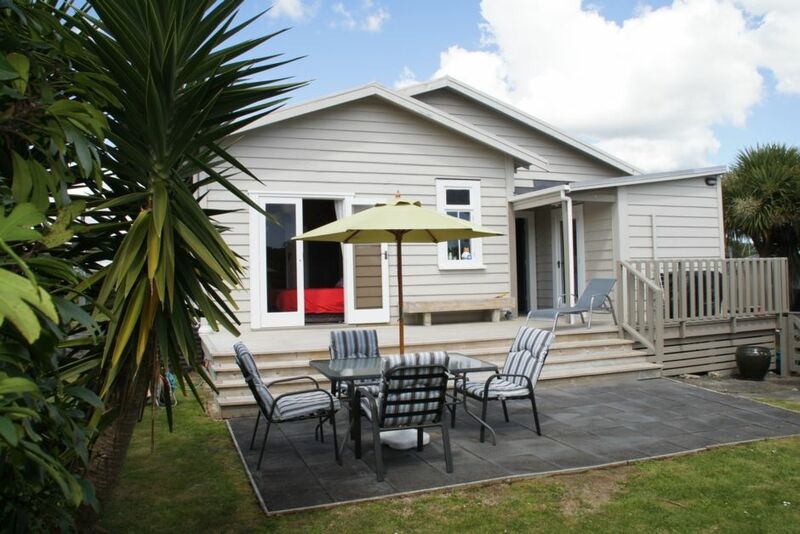 We loved our stay in raglan and this house made it so much more enjoyable. Great guests. Really looked after our home. Easy communication. Welcome back anytime.